Perfect for boxing, MMA and weight lifting sessions, the Carbon Claw fitness wheeled holdall lets you comfortably carry equipment, apparel and all the accessories. It has a large main compartment, as well as side and front zipped pockets and to help you stay hydrated before and after training, there is a side mesh pocket for a water bottle. A double zip allows the zippers to be padlocked together and this lightweight, yet solid bag is produced from durable nylon. Plus, for easy transportation, the bag offers a dual carry handle, wheels and a padded, adjustable shoulder strap. Please Note: Equipment in the photo is not included. for submitting product information about Carbon Claw Fitness Wheeled Holdall We aim to answer all questions within 2-3 days. 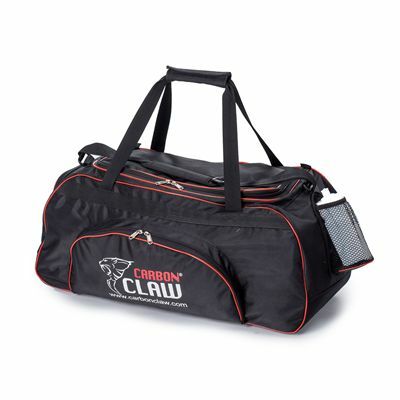 for submitting product information about Carbon Claw Fitness Wheeled Holdall. We aim to answer all questions within 2-3 days. If you provided your name and email address, we will email you as soon as the answer is published. 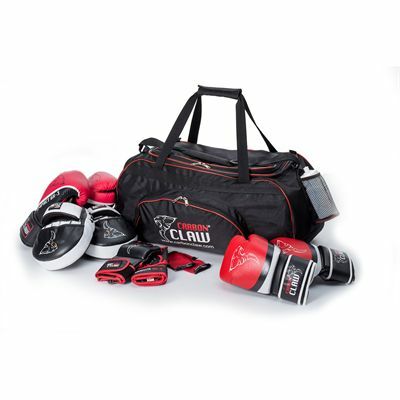 for submitting product review about Carbon Claw Fitness Wheeled Holdall.